The HygroSet II is the optimal digital hygrometer to reliably monitor the status of your humidor. Analog hygrometers just aren't reliable enough to trust your cigars to. 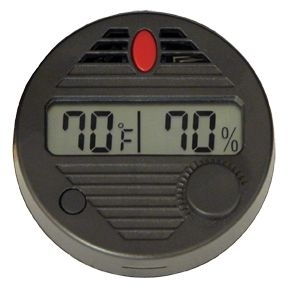 This hygrometer also has a thermometer so you have the data points needed to manage and maintain the proper temperature and humidity conditions for proper cigar storage and aging.